In his official report on the Battle of Gettysburg, Brigadier General Alexander Hays said the history of his brigade was “written in blood.” He could easily have said that about the entire battlefield. In the years since, though, the battle’s history has been written in stone, bronze, and iron, set down via a remarkable collection of monuments, markers, and tablets that dot the woods, hills, and fields. 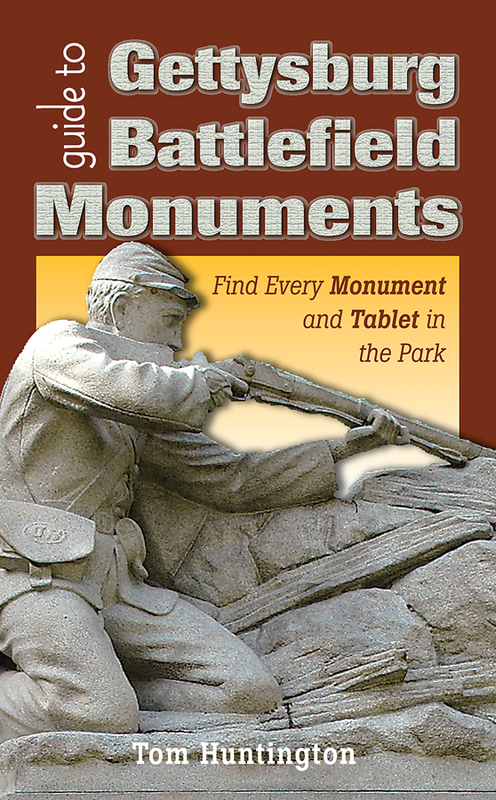 When Stackpole Books decided it wanted to create a phone app to help visitors understand the significance of this great profusion of battlefield monuments, they asked me to help put it together. At the time I was finishing up Searching for George Gordon Meade, and my research had sent me to Gettysburg many times. Still, I found it a daunting task. Every monument comes with a story–even a book–attached and trying to capture that story in a maximum of 75 words promised to be difficult. Fortunately, I was also going to provide photos of all the monuments. Since a picture is worth a thousand words, I guess that boosted my word limit to 1,075. Mark Allison and Janelle Bender of Stackpole kicked off the project and I picked up where they left off. It meant spending a lot of time on the battlefield to photograph each monument and get its GPS coordinates, but I enjoyed the time I spent there, even on scorching summer days when I was baked by the sun and ended up picking ticks off my legs after tramping through fields to reach particularly inaccessible monuments. I also enjoyed my time poring through John Bachelder’s three volumes of battlefield correspondence, as well as the Official Records, regimental histories, and other sources about the fighting to get anecdotal material to help personalize each monument. It was truly a learning experience for me, yet I also understood that the more I learned, the more there was to discover. The Gettysburg battlefield contains multitudes. At some point I suggested to Stackpole that the material I had gathered for the phone app would also translate into print. So I suggested they turn into in a field guide to Gettysburg monuments and they agreed to do that. The result is Guide to Gettysburg Battlefield Monuments, which Stackpole Books will publish in May, just in time for the battle’s 150th anniversary.You can purchase the app and the book through Stackpole Books, or you can get the book at Amazon.com or Barnes and Noble. What follows is just a brief sample of the kind of material you will find in both the phone app and the book. (I took multiple photos of each monument and at this point I’m not sure which images will appear in the app and the book.) Click on each picture to see a larger version. Captured in stone, Sergeant Ben Crippen, the 143rd Pennsylvania’s color bearer, permanently shakes his fist in the direction from which the Confederates advanced. Part of Doubleday’s division of the 1st Corps, the 143rd was falling back from the rebels on July 1 when Crippen expressed his defiance. He paid the ultimate price , falling to enemy bullets. The regiment saved its colors and retreated through Gettysburg and up to Cemetery Hill. The dog on the memorial to the 11th Pennsylvania is Sallie, the regiment’s mascot. Although separated from the men when they retreated to Cemetery Hill, the brindle bull terrier remained where they had fought with the dead and wounded and rejoined the 11th Pennsylvania after the battle. She remained with them until struck and killed by a bullet at the Battle of Hatcher’s Run in October 1864. The 17th Maine made a stubborn resistance in the Wheatfield on July 2 by the stone wall here (as shown atop the monument). “The regiment took position just in time to receive the first and furious attack made by the enemy on that part of the line,” read a history. The fight became “a desperate struggle at close quarters” until, out of ammunition, the 17th Maine received orders to pull back. During the fighting for the Wheatfield Colonel Harrison H. Jeffords of the 4th Michigan and two other soldiers attempted to rescue the regimental colors. “The Colonel secured the colors or at least had his hand on the staff,” recalled color bearer Henry S. Seage, “and in the act of fighting their way out, Col. Jeffords was killed, by bayonet thrust through the body.” The other two, one of them Seage’s brother, were wounded. The monument to the 11th Mississippi, sculpted by William Beckwith, depicts William O’Brien, the color sergeant for Company C. Advancing on the left flank of the Confederate attack on July 3, the regiment suffered terribly, with 340 casualties among its 393 men. A marker off Hancock Avenue near the Brian Barn indicates the furthest point the regiment’s survivors reached on July 3. The work of sculptor Donald DeLue, who also created the Mississippi and the Soldiers and Sailors of the Confederacy monuments, the Louisiana State Monument was dedicated in 1971. The dying soldier is from Louisiana’s Washington Artillery; the soaring figure is the Spirit of the Confederacy. Louisiana seceded from the Union on January 26, 1861, and contributed around 56,000 soldiers to the Confederate armies. Up to 7,000 of them died during the war.